Don’t Toy With My Emotions, Arnold Schwarzenegger! | Critical End! Don’t Toy With My Emotions, Arnold Schwarzenegger! 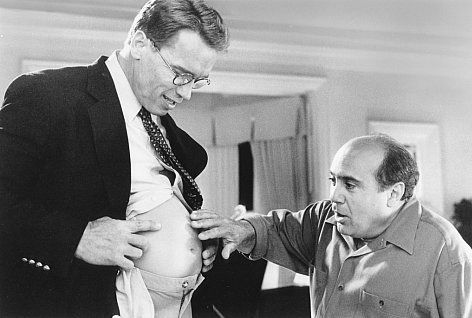 The hijinks of Danny DeVito can't save you now, Arnold. Damn you, Arnold! I was all excited about your return to film and then you go and retroactively have had an affair, complete with love child. Now the Daily Beast reports that you’re putting your career on hold and that that wonderfully goofy Governator cartoon has been scrapped. I waited for however-many long years you were in office to get another taste of your unique brand of goofy machismo and just when the prize is in sight you decide it’s time to focus on your multiple families. Look, obviously the Schwarzeneggers are going through a tough time, and I hope they work it out and get through this. But in the meantime, wouldn’t it be healthy for Arnold to lose himself in his work a little? And by his work I mean movies where he’s a violent robot, alien hunter, or undercover spy. Until then, we’ll have to look elsewhere for over-the-top performances and badly written dialog. Like, say…video games! This entry was posted on Wednesday, May 25th, 2011 at 6:45 amand is filed under . You can follow any responses to this entry through the RSS 2.0 feed. Both comments and pings are currently closed.